"Young has assembled an open-ended incursion into a field that is in a state of flux. 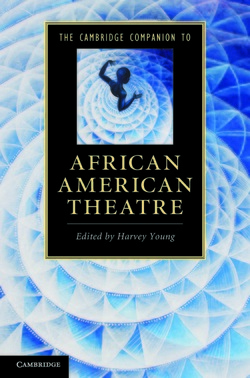 The anthology describes African American theatre and performance as a work in progress, a bundle of stories still in the making. As editor, Young is more interested in showcasing how contemporary African American performances overflow the conceptual frames inherited from ethnic and cultural studies; the entire collection intentionally embraces the impossibility of fixing its own contents. This is a daring approach that focuses less on the history of African American theatre than on the contingencies that are constantly redirecting that history. Instead of pursuing an elusive desire for completeness, Young allows the reader to build up his or her own sense of what African American theatre is becoming." "This book serves as an innovative companion to African American Theater. It collates thirteen scholars in the field, each of whom provides, to quote the introduction, 'an in-depth engagement with the history of African American Theatre.' The contributors are a mix of the best newly minted scholars, including Soyica Diggs Colbert and Douglas A. Jones, Jr., and established scholars such as Harry Elam and Sandra Richards. Together, the essays and their respective authors build a strong, if necessarily partial, vision of the field: one that begins with slavery on American shores and concludes with the unstable, but 'fertile ground [that is supporting] the emergence of new plays and new debates around the notion of how, where, and what, as Suzan Lori-Parks says, Black theatre ‘IZ’'.